In my capacity as an Oakland County DUI lawyer, I am in a district court here somewhere almost every day of the week handling OWI charges. As a resident of Oakland County, I appreciate the efficiency that defines our district courts from Ferndale at the south end of the county to Clarkston at the North, and from Novi on the west side to Madison Heights on the east, and the places in-between, including Troy, Rochester, Royal Oak, Bloomfield Hills, Southfield, Farmington Hills and everywhere else. Because my DUI practice is concentrated in and limited to the Metro-Detroit area, I know how things work in these the local courts. I don’t try to be all things to all people, and therefore don’t take OWI cases outside of Greater-Detroit, Tri-County area, meaning I stick to Oakland, Wayne, and Macomb Counties. Oakland County is certainly the most unique of this bunch. It won’t take long to hear that Oakland County is the toughest. Of the 3 local counties, that’s often (although not always) true. However, there are many rural counties in Michigan that have plenty of open jail spaces, and Judges that aren’t afraid to fill them. By contrast, Oakland County, the second most populous in the state, has a jail that is almost always bordering on legally overcrowded, so it limited space has to be somewhat “managed” for people like non-violent DUI offenders. In other words, even tough Oakland is generally “tougher” than either Wayne or Macomb Counties, there are plenty of other places in the state where a DUI charge carries far more risk of jail. As the saying goes, everything is relative. 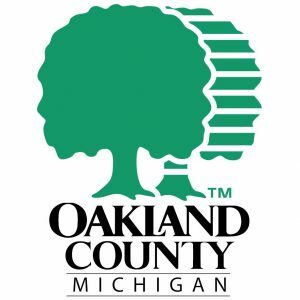 Interestingly, and perhaps somewhat ironically, fines and costs in Oakland County are about average, and not, in any way, near the high end of the spectrum. A DUI in Oakland County will often not cost nearly as much as one in either Wayne or Macomb Counties. Soon enough, you’ll also hear that there is one Judge here who sends every drunk driver, including 1st offenders, to jail. That’s not completely true; the last DUI client I handled in that court did NOT get any jail time. Beyond the more realistic possibility of jail in this one Judge’s courtroom, however, and just like everywhere else in the Detroit area, 1st offenders in Oakland County don’t go to jail. If Oakland County can said to be “tougher” in DUI matters, it’s not really about jail, especially in 1st offense cases. In fact, every 1st offender should get the whole jail thing out of his or her mind, because you’re almost certainly NOT going. Instead, “tough” here means having to do more things while on probation than would perhaps be the case elsewhere. In just about every court, everywhere, you can count on some kind of alcohol and/or drug testing while on probation (and usually as a condition of bond, as well). In practice, the Oakland County courts tend to test more frequently, and also tend (the word “tend” is used here on purpose, because I’m talking about a tendency, not some kind of absolute) to be less tolerant of missed or failed tests. Even in 2nd offense DUI cases, staying out of jail is more likely than not. It is true that in a 2nd offense case, generally speaking, some jail is more likely in Oakland over Wayne or Macomb Counties, but if that does happen, it usually involves a few days, not weeks or months. It may be better to think of the Oakland County courts as more progressive in DUI cases, rather than just tough. The whole testing as a bond condition (meaning having to do breath or urine tests while your case is pending) started in Oakland County. Now, it’s standard practice in both Macomb and Wayne Counties, as well, but it was Oakland that first started doing it, at least here, in the Detroit-area. Perhaps because it is the most affluent, Oakland County also tends to be ahead of the curve for just about every new trend. The modern approach to reducing repeat offense drunk driving is, as of now, more educational and rehabilitative rather than simply punitive. The courts in Oakland County usually require more (if you’re the one facing the charge, you might think it more accurate to say they “pile on”) things like classes, counseling, and/or programs and testing, to insure compliance with a “no drinking” order, than elsewhere. So far, though, we’ve only looked at the court system. Judges don’t make plea bargains; that’s left to prosecutors. Of the 3 County prosecutor’s offices, Oakland is the toughest, and by a long shot. It has been this way since before I was licensed as a lawyer, over 27 years ago (as of this writing). Indeed, the word “tough” may be an understatement here. And so it doesn’t appear I’m mincing words, let me be very clear; some of the plea deals that are easily worked out every single day in Macomb and Wayne County are simply not possible -ever – in Oakland. I’m not going to get too deep into this here, but the simple truth is that you won’t find a single defense lawyer anywhere who disagrees with the proposition that the Oakland County Prosecutor’s office is FAR LESS flexible than either Wayne’s or Macomb’s. That’s institutional policy; I have no issue with any individual prosecutors, and get along fine with all of them. They each have a job to do within the parameters required by their elected boss. In fact, if a lawyer does have a problem with any prosecutor, he or she is, then, at least to some extent, compromised. It’s all well and fine to think people should put their personal differences aside and get down to business, but it’s far better to simply not have any person differences in the first place. The various city, township and village attorneys (meaning municipal prosecutors) in Oakland County are not constrained by such policies. Therefore, they can be far more flexible (read: lenient) and very much like their counterparts in Wayne and Macomb Counties. In the broadest sense, Oakland is the most conservative of the 3 local counties, so some of that is inevitably going to trickle into the whole court system. In terms of dealing with something like a DUI charged under municipal (i.e., city or township) law, however, there won’t be much difference between having to deal with it in Oakland County as opposed to either Wayne or Macomb, beyond the somewhat more rigid testing and probationary conditions mentioned above. There is, of course, much more to this than I can or should examine here. I trust the reader to understand that these are the kinds of things best and more fully discussed in the comfort and privacy of the lawyer’s conference room. And while all of this may sound interesting, the reality is that whatever you wind up being required to do, and whatever you are ordered not to do really defines what happens to you. I have long said that success in a DUI case is best judged by what does not happen to you. The difficult and expensive counseling you don’t have to complete beats the hell out of anything you must do. And while it’s true that more of the Judges considered “tough,” are in Oakland County, it’s also true that the municipal prosecutors here are just about as lenient as anywhere else, so things do tend to balance out. And although, as my late mom used to say, you can’t change the spots on a leopard (meaning you’re not going to make a tough Judge suddenly turn lenient, or vice-versa), it is the lawyer’s job to know how to navigate the choppier waters of one Judge as well as the smoother waters of another, and how to work with a prosecutor restrained by departmental rules. In other words, it’s real easy for a lawyer to just say that a certain Judge or prosecutor is really tough, and throw up his or her hands in frustration. As the client, however, you should be looking to hire the kind of lawyer, like me, who knows how to best work around these things. You don’t get that without a lot of experience. That’s why I limit the geographical area of my practice. You cannot learn how to successfully work around something and get optimal results without doing it regularly, and that also means you have to learn what does not work, as well. Edison had a great idea for the lightbulb, but it didn’t work on the first, and not ever the hundredth time he tried; it took a lot of trial and error to get it right. A lawyer could have graduated top of the class from Harvard Law School and otherwise be brilliant, but he or she isn’t going to know how to most effectively deal with a “tougher” Judge without some trial and error under his or her belt. And let’s be honest; if you hire Statewide Sam as your lawyer, who takes cases any and everywhere, he will probably not have been in front of the local Judges anywhere near as much as me, because I have worked in these same local courts for over 25 years now. Whatever else, you should pay for a lawyer’s experience to make things better; you don’t want to wind up paying his or her tuition to learn how. If you’re facing a DUI charge (or any criminal charge), whether in Oakland, Wayne or Macomb County, I can help. If you’re looking to hire a lawyer, do you homework, read how other lawyers analyze and explain things, and then check around. All of my consultations are confidential and done over the phone, right when you call, so it couldn’t be more convenient to get answers to your questions. You can reach my office Monday through Friday, from 8:30 a.m. until 5:00 p.m. at (586) 465-1980. We’re here to help.